India has expressed support for Afghanistan government's offer to Taliban to participate in peace process without preconditions, saying the irreconcilable guns in the war-torn country need to be silenced. 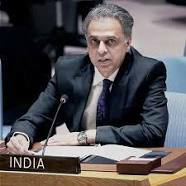 During an open debate on Afghanistan, India's Permanent Representative to the United Nations Syed Akbaruddin told the UN Security Council that the efforts of the Afghan government calling on the armed groups to cease violence and join the national peace and reconciliation process deserves the full support. Mr Akbaruddin said, India hopes that the Council will better utilize the range of tools available to it to deal with the trans-national networks of drugs, terrorism and crime.